Thereʼs so much anticipation brewing at Veterans United Home Loans Amphitheater as the rumors have been confirmed to be true! One of the biggest Reggae shows of the year is here!! Rebelution, Stephen Marley & Common Kings have announced they are back on tour and coming live to Veterans United Home Loans Amphitheater! Book here for tickets to Rebelution, Stephen Marley & Common Kings on Saturday 30th June 2018! The Californian group Rebelution first came to light as they completed high school together in Santa Barbara. With Eric Rachmany, Rory Carey, Marley D. Williams, and Wesley Finley they formed the band and started performing around the local scene throughout 2004 – 2005. By 2007 they were more than ready to release their first ever album and 'Courage to Grow' transformed into a breakthrough for them, with their talented instrumentation. Radio stations across San Francisco couldn't get enough of the record, especially their single, 'Safe and Sound.' This album put them on the map in the Reggae world and made it to the charts at No.4 on the Billboard Top Reggae Album and the rest was history. 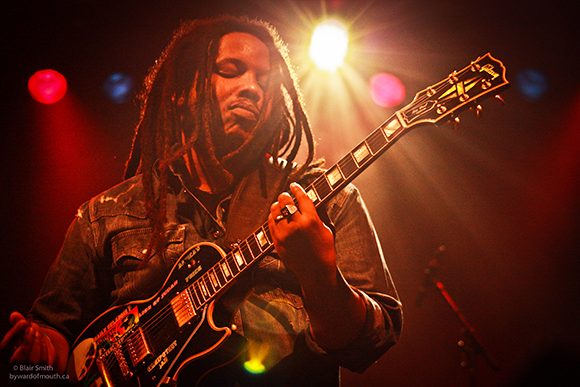 Stephen Marley hardly needs an introduction as the son of the Reggae king himself, Bob Marley, Stephen was destined to follow in his fathers footsteps and become a Reggae star in his own right. With so many hit albums released including 'Mind Control' in 2007 and 'The Root of Life' in 2011, Stephen "Raggamuffin" Marley has gained a Grammy Award, not just once or twice but an impressive eight solid times! He is also known for his collaboration with his other brothers Damian Marley and Ziggy Marley on their records. Yet he loves to spread his message across the board and has said to have inspiration from American legends such as Stevie Wonder and Prince. Both of these acts make an incredible experience to see live with their pure craft of songwriting and effortless performance skills, also with so many hit records under their belts. With all of this said, you'd be crazy to miss the chance to catch them this coming Summer as they take to the road on tour together. With special guests to be featured on the bill, there's no time like the present to run and grab your tickets for a night of all of the feel good vibes. Reggae heads and music fans alike – come join the Reggae party!